(Joshua Paladino, Liberty Headlines) A new study from the Federation for American Immigration Reform debunks the claim that illegal aliens commit crimes at a lower rate than legal residents and native-born citizens. “This study should put to rest, once and for all, the notion that illegal aliens commit crimes at a lower rate than legal residents,” FAIR President Dan Stein said. FAIR’s study, using data from the federal government’s State Criminal Alien Assistance Program (SCAAP), found that illegal aliens perpetrate crimes three times more often than legal residents. In some states, illegal immigrants commit crimes at five times the rate of legal residents. SCAAP is a federal program that compensates states for locking up criminal illegal aliens. With access to this data, FAIR estimated the total illegal alien inmate population in some states. FAIR chose to study Arizona, California, Florida, Nevada, New Jersey, New Mexico, New York, Oregon, Texas and Washington because they have the highest concentration of illegal aliens, they regularly report to SCAAP, and 65 percent of the United States’ illegal alien population lives within them. While the report shows that authorities incarcerate illegal aliens on criminal convictions three times more than legal residents, it leaves out a key fact: every illegal alien has committed a crime by entering the United States without authorization. The mainstream media portrays illegal aliens as much less likely to commit crimes because they fear deportation. 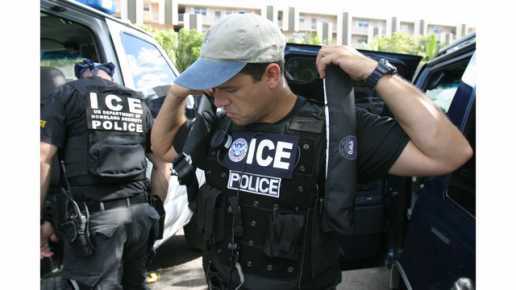 But the states studied have numerous sanctuary jurisdictions, where local law enforcement refuses to comply with federal immigration authorities, so deportation is not as prevalent a threat. In California, where immigration enforcement has been optional for decades, illegal aliens are incarcerated at 3.3 times the rate of legal residents. In New Jersey, illegal aliens are 5.5 times more likely than legal residents to commit crimes that land them in prison.